An easier route to a Jumbo? 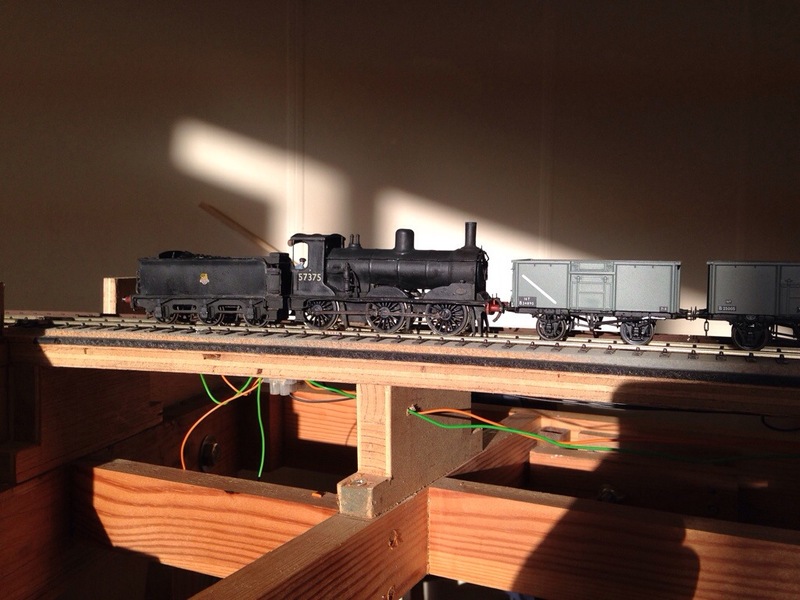 Regular followers of my blog will know of the struggle involved in creating my model of 57375. As one of the staples of the Scottish Railway scenes from the 1890s to the early 1960s, the lack of a modern kit for this class can be seen as a significant gap in the market in 4mm at least. Following some discussions on the Modellers United forum, an experienced etcher and kit producer has tentatively put forward the idea of producing an etched kit for the Jumbo. To be viable, it is anticipated that a run of 20-30 would be required with lost wax or white metal castings included. I guess it’s a reversal of Field of Dreams whereby if you come, they will build it but if you would like to see a 21st Century etched kit of one of Scotlands’s great wee engines then please express your interest here in order that I can pass the numbers on. I reckon we have about ten definites already but the more we have, the more likely this will go ahead! ← A Sort of Homecoming. Thanks Jamie. I’m quite sure we can generate sufficient interest in this manner. Having had the chance to spend a bit of time last Sunday at the EM Society Borders group meeting studying the instructions for 52F Models’ C16 kit, this range might be the current “state of the art”? The thought that seems to go in to this range to aid construction sounds very impressive, although I have no experience of actually building one of these kits, or any other etched brass loco kit for that matter. Dave. You have an N15 kit, from here I think? Any progress with it? It’s the C16 that I have, John. No progress as yet due to having been heavily engaged with the wee 0-6-0 at the top of the page. I do rather fancy one of those N15s mind! Oh, I’ll definitely have a pukka Jumbo. Count me in! I would be definatly interested in two Jumbos. I have tried the DJH route and it is virtually impossible, (Well to my skills), to build it to EM gauge. Having spoken to John Brighton, some time ago regarding the two he has built that are on his website it appears that he used the DJH and Jamieson one and still had to do a lot of scratchbuilding.